Earlier this year, Google, Facebook, Twitter and Snapchat banned all advertisements on initial coin offerings (ICOs) and cryptocurrencies owing to increased hacking and fraud incidents in the cryptocurrency space. The ban was aimed at protecting investors from cryptocurrency scams aimed at defrauding them. However, six months later, tech companies seem to be changing their stand over the cryptocurrency advertising ban. Facebook became the first tech giant to reverse the ban and barely a month later, Google has followed the same path. The latter announced last month that it will lift the ban on cryptocurrency advertisements in October. In its revised policy, Google stated that it will only run adverts from cryptocurrency exchanges that are regulated in the United States and Japan. Crypto companies in other countries can, in the meantime, submit applications to place adverts on Google as the tech giant puts in place plans to reverse the ban across the globe. Further, the new policy requires advertisers to acquire certification from every country they plan to have their adverts run. This requirement will apply internationally and will only be possible once the policy takes effect. One of the major challenges that crypto companies in the US could face in the foreseeable future is the lack of clear regulations. To address this issue, stakeholders in the cryptocurrency space have asked the Congress to quicken the process of developing legislation to guide the cryptocurrency market. The uncertainty regarding legality of digital assets and ICOs coupled with application of outdated laws has delayed cryptocurrency industry progress. This has seen investors and entrepreneurs prefer to settle in sectors that have clear operation guidelines. According to John Hoelzer, founder and CEO of ONe Network, establishment of clear and up-to-date cryptocurrency guidelines in the US will contribute greatly to the growth of the industry. Hoelzer further holds that lack of regulations is causing many companies to keep off US operations. “Many companies will not operate here due to the possibility of the US over-regulation or banning it outright in the future. The US should embrace this market and properly regulate it without being over burdensome. Allowing a market to thrive as it did during the 90s and early 2000s in the Tech sector brought about huge advances in technology and let a then emerging market to flourish and become what it is today. The US cannot afford to lose on this technological renaissance,” he adds. The cryptocurrency industry has led to emergence of numerous startups. The technology underpinning digital currencies, blockchain has been used to create innovative solutions across sectors. Such solutions include Noiz Chain in the interactive marketing space and Epic Mega in entertainment content space. In an industry that has been plagued by hackings and fake ICO projects, the step taken by Google and Facebook to establish mechanisms for reviewing ad applications is critical in ensuring that investors access genuine projects. By ensuring that only legitimate services get advertised, these tech giants will boost their confidence in the cryptocurrency space and contribute immensely to fraud prevention while maintaining the integrity of the industry. 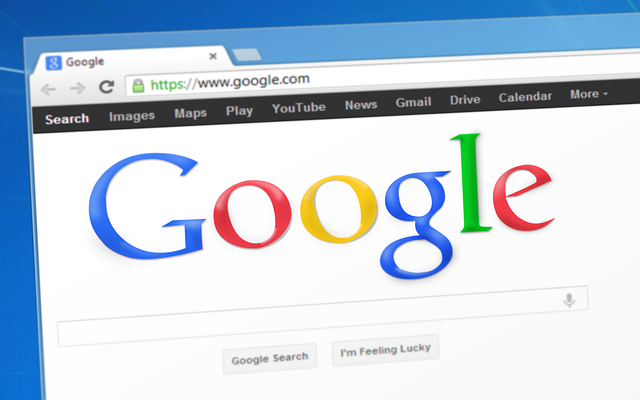 The recent change of stance by Google on cryptocurrency advertising is a clear indication that big firms in the tech space are increasingly approving of cryptocurrencies. This creates space for fintech companies to advertise their products and consequently, increase sales, which is pivotal to development of the crypto industry.